The Bill & Melinda Gates Center for Computer Science & Engineering - a second building, doubling the space of the Paul G. Allen School - opened in January 2019! 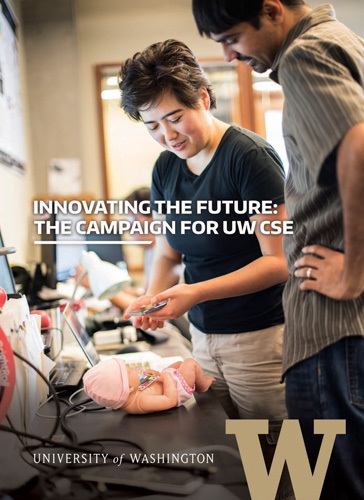 The Bill & Melinda Gates Center for Computer Science & Engineering provides the space to double our annual degree production, educating more of Washington's students for Washington's high-impact careers. 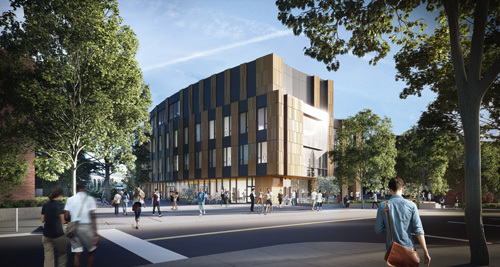 It provides new instructional and collaborative spaces, expanded research labs, a 240-seat auditorium, and a flexible event space that will complement the Paul G. Allen Center for Computer Science & Engineering on the University of Washington's Seattle campus. Together, the Allen Center and the Gates Center enable us to provide an unparalleled education and research experience to students, and to engage in even more robust collaborations across the campus, the region, and the globe. The Gates Center is fully funded, thanks to the amazing generosity of hundreds of friends, alumni, and companies, as well as the Washington State Legislature and the University of Washington. The building opened in January 2019. If you have questions about the project, please contact Hank Levy, Wissner-Slivka Chair and Director of the Paul G. Allen School, levy (at) cs.washington.edu, Ed Lazowska, Bill & Melinda Gates Chair in the Paul G. Allen School, lazowska (at) cs.washington.edu, or Marzette Mondin, Director of Advancement in the Paul G. Allen School, marz (at) uw.edu. Thank you for making the Bill & Melinda Gates Center a reality! 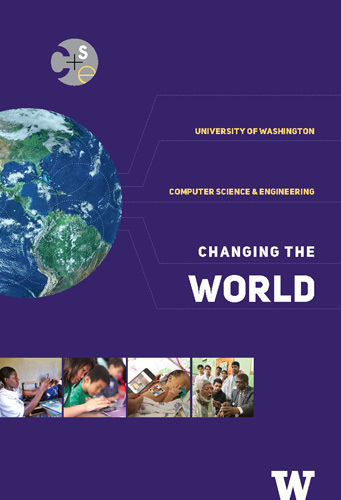 Your gift is tax deductible - you will receive a receipt from the University of Washington Foundation, EIN 94-3079432. Please consider a multi-year pledge: As you consider your capacity to support the building project, please consider a multi-year pledge. Pledges payable over as many as five years are immediately credited toward our project goal. To make a multi-year pledge, complete this pledge form and email it to Ed Lazowska, lazowska (at) cs.washington.edu. Any of the modes of payment described below may be used, either for one-time gifts or for multi-year pledges. Give by transfer of appreciated securities: The University of Washington does not give tax advice. However, as a general rule, this method of support is doubly tax-advantaged: in addition to the gift being fully tax-deductible, the donor does not pay capital gains tax. Information on how to effect a transfer is here. In the documentation accompanying your transfer, please specify that the gift is for "CSEBLG—CSE Building Phase II—65-7100." Please give a heads-up to Ed Lazowska, lazowska (at) cs.washington.edu, and Alana Askew, alana01 (at) uw.edu. Please give a heads-up to Ed Lazowska, lazowska (at) cs.washington.edu, and Tobin Eckholt, teckholt (at) uw.edu. Electronic funds transfers: Instructions are here. Questions? Contact professor Ed Lazowska, lazowska (at) cs.washington.edu. Allen School faculty, students, and alumni are pushing technological boundaries and generating global impact at a level that was unimaginable a decade ago. We have achieved groundbreaking developments in mobile health, with smartphone apps that detect life-threatening medical conditions; the Internet of Things, with battery-free devices that pull power from thin air; and new frontiers of computing, such as the effort to build a next-generation data storage system using DNA. The Allen School is a leader in computing innovation due to our ability to attract and nurture expertise in core and emerging areas of the field, from computer architecture to computer vision. The Bill & Melinda Gates Center will provide us with the opportunity achieve an even greater impact here at home, and in communities around the globe. Join us on our journey to change the world through computing innovation!